Who doesn’t love this flavour bomb? Many readers have been writing in asking how to simplify this Cheesy Garlic Butter Mushroom Stuffed Chicken recipe. Of COURSE I’m up for that and here it is! Garlic butter and mushrooms go hand in hand already, for breakfast, lunch or dinner. BUT throw in some juicy, golden chicken thighs and WHOA have mercy! 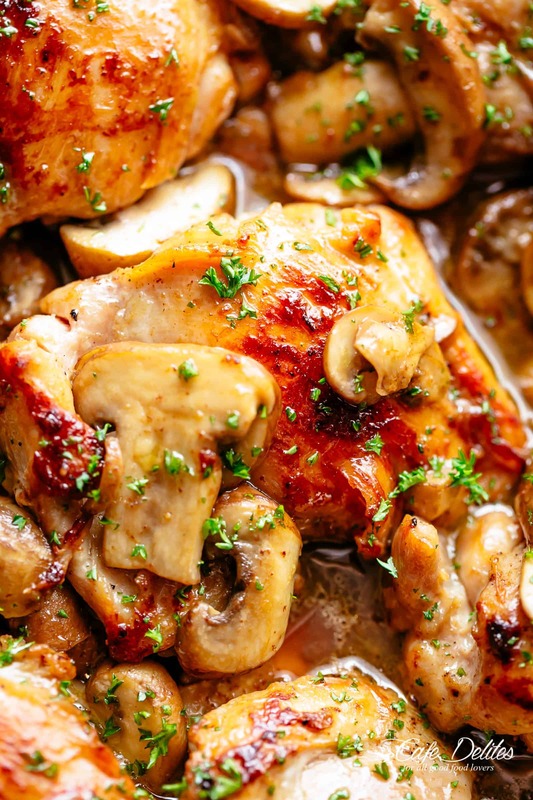 Mushroom Chicken Thighs on VIDEO! I’ve made this many times since I discovered the recipe – and each time it just disappears!! Thanks for so many great dinners! This is my favorite new recipe! I add a little flour and water when cooking the mushrooms, and it makes a thicker sauce. I then serve it over pasta- usually farfalle or fettucini. I made this for as a drop-off meal for a couple of friends in need and also got great compliments! I don’t normally leave reviews, but my entire family loved this. I have an 8yr old and a 5yr old who are both picky and they both said it was the best chicken ever. My 5yr old even had me pack the leftovers for lunch the next day! I just did this and it was amazing. I chopped some onion before to put the butter and garlic in. Already thinking to make this one to my in-laws next week. Made this as a Friday night treat with chips and salad. I cooked the chicken in the oven then put in the sauce to simmer for 10 minutes. Definitely making again. Can you use chicken thighs with skin and bone? Yes, of course! You will just want to change the baking time when cooking your chicken. Hope that helps and you enjoy your chicken. Thanks for following along with me! birthday. It is so flavorful, I did use white wine to deglaze the pan to get all of those bits and pieces! This one is a keeper! Loved it, I found the chicken coating fell a little short so I had to double it. Also I tweeted the sauce a bit with a little extra butter, lemon juice and a few splashes of California red wine, delicious! 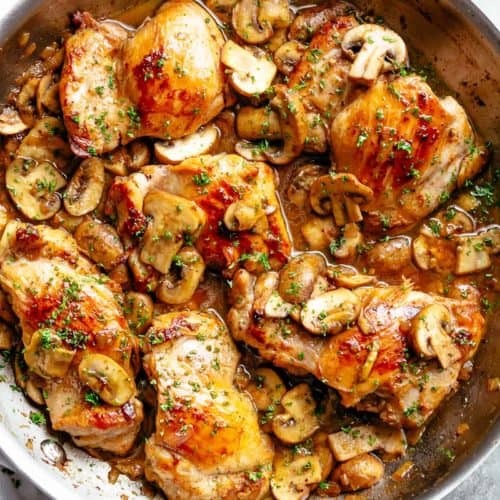 What would you recommend to use with this chicken recipe, potatoes or rice or salad? 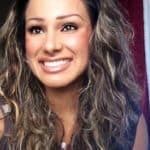 Hi Karina! Thank you for sharing this amazing recipe! My son loves it. I had to make it twice in one week ? This recipe is the bomb. my gang LOVED it. Saw this on fb and it McAfee my mouth water. Had to make it and it didn’t disappoint. The red is the sear marks on the chicken. Looking forward to making this. Yum! Can I cook this ahead of time and serve a couple of hours later? 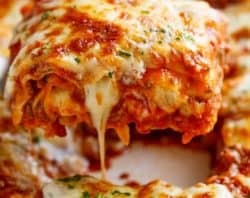 This recipe looks amazing but I need a dish I can make and then serve later. Will this still be good if I serve it a couple of hours after I cook it? I’ve made this a couple times and again yesterday..always a hit. Thank you for such a delicious recipe. Do you think there is anyway (after browning) that this could be done the the slow cooker? Thank you!! That is a great idea! I would love to hear how it turns out! Thanks so much for following along with me! Hi! Does this recipe keep well to eat as leftovers? I’d love to make it but I cook for one 🙂 thanks! If you have any left overs, yes, it will be great!! 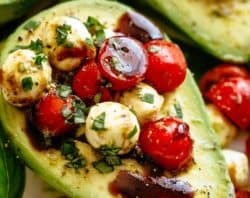 Hi Karina, Thank you for this wonderful recipe as it’s right up our alley being Keto friendly. I love the way you write your recipes up as well that we here in Australia don’t have to convert the amounts as you’ve already done that for us, again thank you. To make it a little more flavourful I added some chopped bacon into the sauce and it was YUM! This recipe is simply amazing, Karina! It is a perfect go-to-recipe for a stay-at-home-dinner with loved ones. 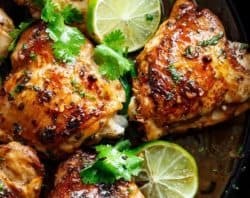 The boneless thighs would absorb all the goodness and juiciness of the sauce; and because they are boneless, it would be easier to bite into the tender and flavorful meat. 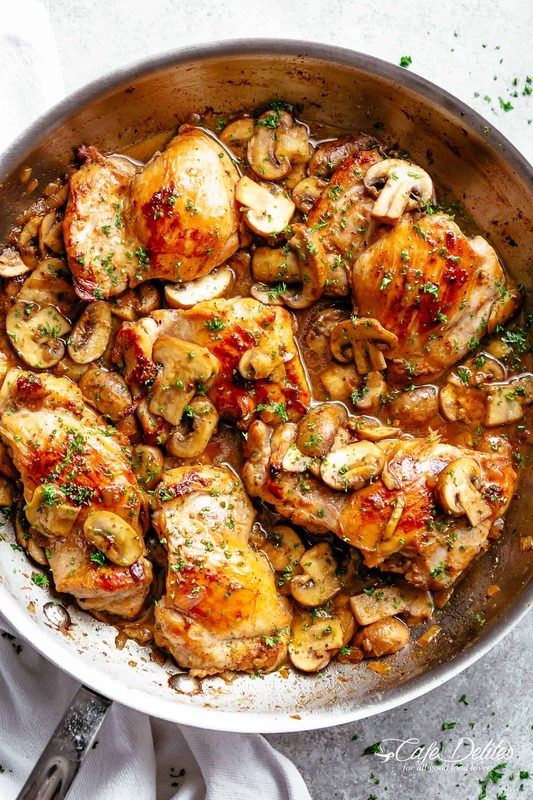 I saw in the photos that you used button mushrooms for this recipe; would it be OK to use other kinds of mushrooms? I love this. I feel like just the mushrooms is a little light on veg for my family and have taken to throwing in some fresh peas at the end. This is so nice, and such a fast dinner for weeknights. Thank you for sharing. Thank you for letting me know! I am so sorry that the recipe went missing! My site had a malfunction for a period of time today and we are just getting things up and running. I apologize for the problem and how long it took. Thank you for your patience and following along with me! If you have any other questions or concerns please email me and I would love to help in any way that I can. 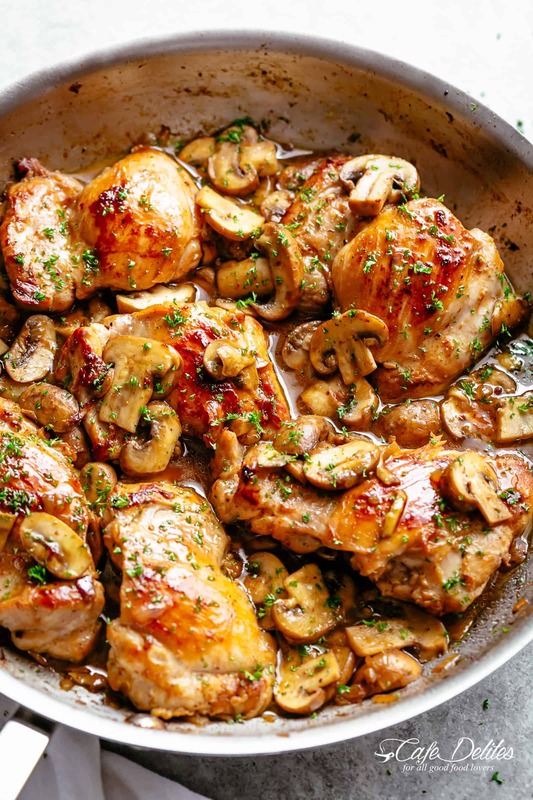 XOXO Here is the recipe: https://cafedelites.com/garlic-mushroom-chicken-thighs/. Where the Hell is the recipe??? Where did the recipe go? It was here yesterday and now it’s gone. I would like to make, however have zero directions into how to go about doing. This makes no sense!! What happened? Please help as I am dying to try it!! 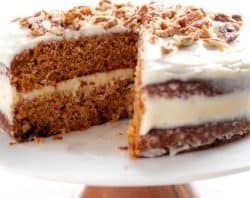 How do I view the full recipe? I made it tonight and it was so easy and delicious! My husband kept complimenting me. Served it with mashed potatoes and green beans. I made this dish this weekend – it was incredibly delicious! So funny I thought there was red sauce from the phot as well! I had some bacon oil left from breakfast and browned the chicken in it – beyond amazing!!! Served it over cauliflower rice. I didn’t get as much liquid as your photo did. Thank you for a great Sunday supper idea -!!! Thanks so much for following along with me! Let me know what you think of the recipes you are going to try! Thanks so much! I would love to make this dish but I have one member of family who hates mushrooms.!! 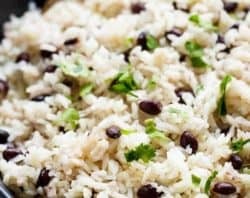 Can FIRM TOFU be used as substitute for mushrooms?? 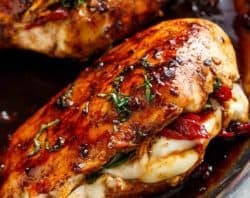 in the pictures there looks like there is something red on the chicken– is something missing from the recipe?